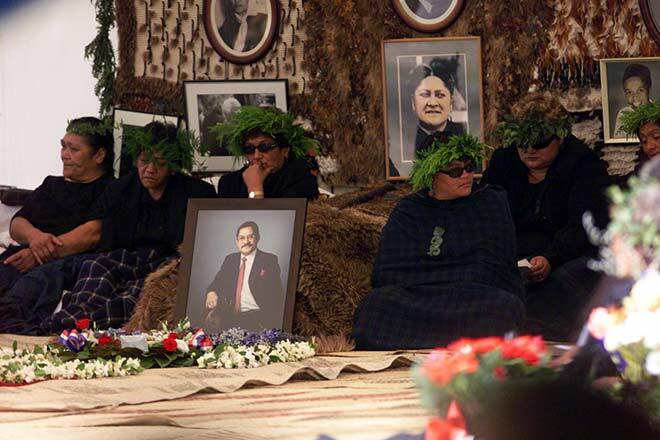 The whānau pani (bereaved relatives) of Sir Robert Mahuta sit beside his body in 2001. The casket is draped in a kahu kiwi (kiwi-feather cloak). The photographs surrounding the tūpāpaku (body) are of deceased whānau and tribal members.